Hi! It's been some time since my last piece of clothing! And I'm happy to upload something new again. ~ This top comes in three versions, each one includes three desings and are available for everyday and formal categories. ~ It's available for female teens, young adults and adults. ~ Two recolorable channels: top and bottom. ~ Three recolorable channels: top, bottom and straps. 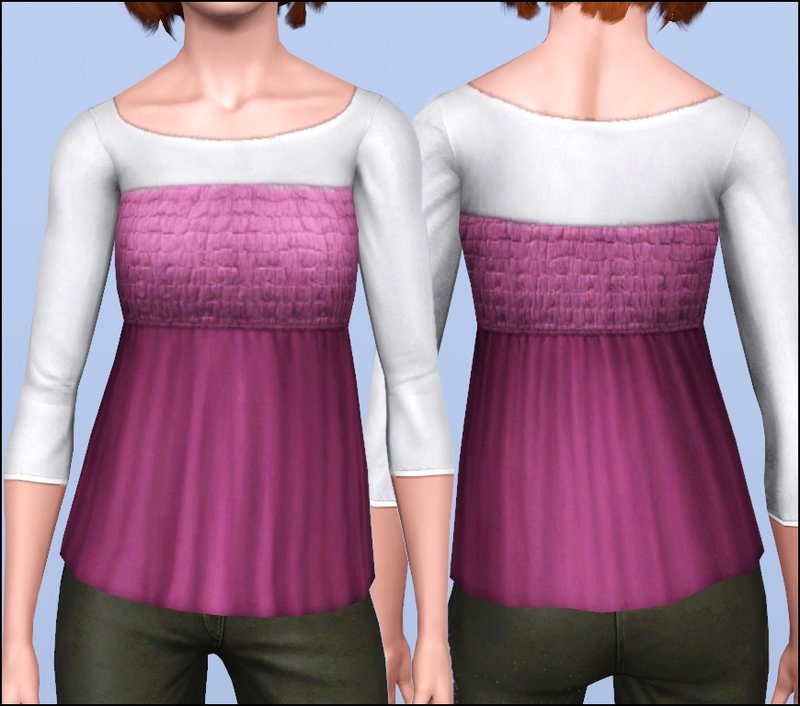 ~ Three recolorable channels: top, bottom and shirt. ~ Hairs by (in order of appearance): Savio, Raon (me), TumTum (me), CoolSims, EA Store, TumTum (me), Rose (me), Nouk (me) and EA Store. Rue Summer Dress - Cute and Simple for this Summer!